♦ I hate when people “pop in and out.” Popping in and out is not very list-friendly behavior. • I will be far away from my bedroom at home, which is the only place where I can be entirely myself. • There is a heaviness pressing down on me that makes it difficult to breathe. IT’S TRUE: I AM FINDING it difficult to breathe. A heavy feeling inside my chest squeezes and pulls. I rest my head against the car window and watch the world outside race by. Pale green prairie grass and the wide blue sky. Old barns with peeling paint and lonely houses surrounded by cows instead of neighborhoods. I imagine I am running through the tall grass alongside the car—no, I am on a horse: a white horse with a tail like a banner. A horse from the Everwood. Nothing is fast enough to touch us. Mom is obsessively switching radio stations. I think she probably has ADHD, which is a term I have learned from listening to kids at school. Mom has a hard time sitting still and is never satisfied with a radio station for longer than the duration of one song. Her work as an interior designer is perfect for her; it keeps her hands busy. They like to pretend I don’t sense the stiffness between them, that I don’t notice how much more they’ve been working lately, even more than usual. They like to pretend I don’t notice things. I think it makes them feel better, to lie to themselves and to me. Which is kind of insulting. I may be a lot of things, but I am not stupid. For example, I recognize how strange it is that I have never met my grandparents. I do know Mom’s parents, and her brother, though they live so far away that I hardly ever see them and they might as well be strangers. Through my observation of the world, I have concluded it is not normal for a girl to be kept away from her grandparents, her aunts and uncles, her cousins, as if they could hurt her. Testing myself, I inhale slowly. The heaviness inside me has faded. I glance at the back of Dad’s head, at Mom’s eyes in the rearview mirror. She must be nervous; she has never met Dad’s family either. She is staring hard at the road, sitting perfectly straight, not paying attention to me. So she and Dad didn’t notice a thing. Good. I am safe. For now. I cannot keep thinking about these things. That is a recipe for disaster. I check the reflection of Mom’s eyes. Still glaring at the road, Mom? I flip past my pages of lists and to the portion of my notebook reserved for stories about the Everwood. I don’t know what I will write about today. Perhaps about the Everwood’s evil cousin forest, the Neverwood, and their terrible, thousand-year war. Or maybe about the various Everwood witch clans, and how people say you can tell them apart by the smell of their magic. Rhonda, my next-door neighbor, and probably the closest thing I will ever have to a best friend, says I am a huge nerd. Given my father’s love of crossword puzzles, his job as a literature professor at the university, and my preference for books over people, I’ve acquired an impressive vocabulary for an eleven-year-old. But when my parents sat me down to explain where I’d be going this summer, and why, all the words seemed to fly right out of my head. I hope I can find them again soon. My notebook—the latest in a series of twelve—has loads of blank pages in it, waiting to be filled. And if I’m going to keep my grandparents from discovering my secret, I will need to write. Eleven-year-old Finley Hart knows this summer will be the most terrible one of her life. And why wouldn’t it be? Her parents are shipping her off to live with grandparents she has never met, surrounded by cousins she doesn’t know, while her parents will be home deciding if they will stay together or get a divorce. At the same time, her blue days are getting worse—the times where she feels she is so heavy that she can’t get out of bed—where her sadness sticks in her like a sword. Her only escape is the Everwood, the forest kingdom that exists in the pages of her notebook. When she realizes that her grandparents’ house borders a lush and mysterious forest, her reality and fantasy begin to collide. Setting out to uncover a family secret, Finley enlists the help of her cousins and a trio of forbidden brothers to uncover the dark past of the forest. What is revealed will force Finley to not only confront her family, but her greatest fear. 1. Consider the book’s title: Some Kind of Happiness. Does happiness have kinds? Discuss what happiness means to you. Are there different ways to be happy? As you read the text, think about the concept of happiness as it pertains to Finley and the other members of the Hart family. After reading the story, discuss why the author may have given her book this title. 3. Discuss Finley’s first encounter with the larger Hart family. How does the author’s use of figurative language help to visualize Finley’s complex emotions: “The Harts are a storm, and I am its bewildered eye. I feel like I’m being dragged through a fun-house mirror maze that reflects distorted versions of myself.” At this point in the story how does Finley perceive her extended family? Why does she compare herself to a smudge on her grandmother’s crystal glass? 4. Throughout the text it is clear that Finley feels separate from the larger Hart family. In addition to her physical separation at this point in her life, why does Finley feel so different from her extended family? Discuss Finley’s feelings of wrongness: “The wrongness of the tight, jumbled knot that is my insides. And how heavy it feels. And how it is pulling and pushing and molding me like clay.” How much of Finley’s feelings are caused by the outside forces of her family members versus the internal forces that she is coping with? 5. Discuss Finley’s early encounter with Gretchen. Why do you think that Finley decided to share the Everwood with Gretchen? How is it a personal risk for Finley to tell Gretchen about the Everwood? How does Gretchen’s acceptance of Finley forge their early bond? Do you agree/disagree with Finley’s statement: “You can’t simply become part of something that doesn’t belong to you, something you’ve only just learned about.” How does the statement relate to her feelings about the Harts? 6. Over the course of the story, Finley dismisses her own emotional pain (fear, sadness, shame, guilt) by talking herself out of whatever negative feeling or thought she has. How do these internal dialogues both help and hurt Finley? Why do you think she does not feel entitled to her sadness? Why does she assume that Grandma and the other Harts wouldn’t understand if she told them about her “blue days” and feelings of “losing herself”? Discuss the meaning of empathy. How does Finley (and the orphan girl in the Everwood tale) display empathy? 7. Grandma is a complex character in the story, and one that Finley has decided is her nemesis from the moment they meet. How does Grandma make Finley feel like an outsider? Do you think this is Grandma’s intention? Explain. Discuss Grandma Hart as her character evolves over the course of the story. Early in the story Grandma says, “We do not talk about upsetting topics at the dinner table.” How is this statement a metaphor for the Hart family? When Finley discovers that Grandma is ill and has been keeping the news from the family, how does their personal dynamic shift? 8. Keeping secrets is one of the major themes of this story. Discuss how all of the major characters keep secrets. As much as Finley despises the truth that are being kept from her, she is excellent at keeping her own secrets. Discuss this duality in the main character. How are secrets and lies connected? How are they different? What does Finley mean by a “Grandma mask”? Fox says that the orphan girl is “afraid of herself.” How can one be afraid of him/herself? What does Fox mean when it says, “We all carry secrets. The more we ignore them, the heavier they become.” How does this statement pertain to Finley? 9. During Finley’s first drive with Grandpa, she plucks up the courage to ask him about her father’s estrangement from the family. Finley asks Grandpa why they cannot simply apologize, to which he replies, “Sometimes things are too big for sorry.” Do you agree or disagree? Discuss a time in your life when you either apologized or received an apology that made a situation better or solved a problem. 10. Discuss Finley’s relationship with Jack Bailey. Why do you think they relate to one another so well? How does discovering the Travers family graves strengthen their bond? How are Jack and Finley similar? After Jack shares his fears with Finley, she cannot bring herself to utter the word divorce. Why do you think Finley is unable to say the word even though she knows that it is going to happen? How is Jack’s friendship a kind of lifeline for Finley? When Finley finally tells Jack about the divorce, why does she think, “Though it is awful, it is the easiest thing to say”? Why is it Jack who helps Finley realize that she has to get “the whole truth” about the fire? 11. After the kids find the Travers family graves, Finley’s intense feelings of sadness and anxiety threaten to overcome her. At first she tells herself that she is undeserving of such feelings in the face of what she perceives are greater sadnesses, but then she attempts to block them entirely: “I focus on pushing these feelings down to a place where they cannot touch me anymore. I will push on them, and push on them, until they have nowhere else to go but out of my head entirely.” Why do you think that Finley refuses to reveal these painful feelings? Do you think this is a good way to deal with pain and confusion? If you could advise Finley, what would you say to her? How does writing about the Everwood help Finley cope, but also keep her stuck in place? 12. Discuss Finley’s thoughts about “sitting alone in a quiet room” where she feels she can be her true self and not pretend to be happy. Why does Finley feel compelled to fake happiness? What is pretense? Discuss how the Harts pretend to be happy. Discuss the following passage: “Most of the time I think I could be perfectly content without saying a single word, but no one else seems to function that way. There is so much talking in the world, and so much expectation to talk, even if you don’t feel like talking.” How does this passage relate to your own life and the experiences of growing up? 13. Finley is keenly observant. She notices details about people that belie her young age, such as this observation of Grandma: “Because most of the time I cannot see past her smile—but when I do, I see someone who is angry and sad and tired.” Discuss other instances in the story that highlight Finley’s powers of observation. Why do the other members of the family seem to be unaware of the signs of Grandma’s illness? 14. Reread Chapters 22 and 23, which describe the emotional and physical symptoms that Finley experiences when she “loses herself.” Discuss the meanings of depression and anxiety. Finley refers to the feelings as “it.” How does her concealment of these feelings help to deepen and continue them? 15. When Avery hugs Finley in the bathroom, what is revealed about the older cousin that Finley has been so intimidated by? In the car Avery confides to Finley that she is jealous of her because she “got away” from the expectations that come with being a Hart. How does this knowledge begin to change Finley’s perceptions about her family? How can being held to high expectations be exhausting? 16. When Grandma takes Finley to her first appointment with Dr. Bristow, she tells Finley, “This will get everything back to normal, you see? A normal summer,” and “Everything is fine, now.” Why does Grandma have such a deep need to make things normal and fine? How is Finley’s internal dialogue to make herself happy similar to what Grandma is saying in the waiting room? 17. Discuss Dr. Bristow’s statement to Finley about honesty: “I like honesty, and I think sometimes adults decide not to be honest with children because they think doing so will protect them, but I don’t agree with that philosophy.” Do you agree or disagree with Dr. Bristow? Is there ever a circumstance where it is right for parents to be dishonest with a child? 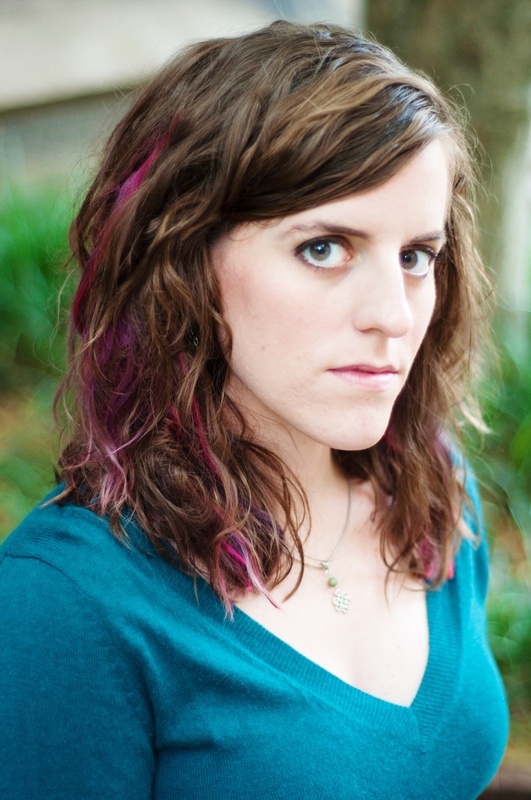 Is Finley’s concealment of her mental illness a form of dishonesty? 18. As Finley’s blue days become more frequent, the Dark Ones not only enter the Everwood story but also appear in Finley’s actual life: “Lots of other things are on my mind. Particularly the Dark Ones on my back. Sometimes when I look in the mirror I think I can see them, even though I am fully aware that they are figments of my imagination.” How are the Dark Ones symbols of the actual pain that Finley experiences? The Dark Ones yell to the Queen, “Free she’s not!” How is mental illness, if left untreated, a kind of prison? How does Finley’s reality fuel her imagination, and vice versa? 19. Discuss the list that Finley makes, titled: What Has Changed This Summer. How have her cousins become more than strangers who happen to resemble her? Compare this list to the one that opens Chapter 1. After Grandma takes away Finley’s notebook, a subtle realization occurs to Finley (“Finley girl, Finley girl, what do you see? I see a Hart, and she looks like me”). How is this moment a turning point in the story? 20. Why doesn’t Finley confront Grandpa after learning the truth about the fire and the cover-up? How is her avoidance of learning the whole story of the fire similar to her denial of her parents’ divorce and her own internal pain? 21. Discuss Finley’s need for control and how it parallels with her grandmother’s need to maintain appearances. How is writing about the Everwood a way for Finley to control what is happening to her emotionally? Does Finley or Grandma truly have control over what is happening to them? Explain. In Chapter 40, Finley decides that she will “go into the deepest parts of the Everwood that no one has yet explored—where no one lies, and everything is truth.” How is this thought an illusion? Why do Finley/orphan girl feel so alone? 22. When Finley realizes that it is up to her to save Dex, how is she able to quiet the Dark Ones? When her cousins “launch themselves” at Finley in Mr. Bailey’s house, she describes the embrace as “the warmest hug I ever felt.” Why does she describe the embrace this way? Describe how the characters react when Grandpa decides to tell the truth about the Travers fire. What does he mean by: “We should’ve told it a long time ago, when it actually counted”? 23. When Finley realizes that she loves her family, even with the knowledge of their role in the Travers fire, she thinks: “This realization has been coming to me in pieces over the summer, but now it rushes at me, fully formed.” Discuss the pieces of her realization. Why is it important to tell the truth, even if it’s frightening? 24. Go back and reread the first Everwood entry. How is this introduction a metaphor for the entire story? 1. An allegory is a story in which the characters and events are symbols that stand for ideas about human life or for a political or historical situation. The story that Finley creates about the Everwood is an allegory for her own life: her emotional pain, her fears, and her secrets. The many characters in the Everwood represent the actual people in her life. Reread the Everwood portions of the text in order. As you do so, record how the allegory of the Everwood parallels the characters and events of the main story. 2. Finley is a list maker. One of the lists that appear in the story is titled: What It Means To Be a Hart. Create a list, substituting the Hart name with your own surname. Generate as many items as possible. When the list is complete, choose one item and expand it into a poem, short story, or personal essay. 3. References to music appear throughout Some Kind of Happiness. The Blues (Ray Charles; Jimmy Reed), Beethoven, The Beatles, and the Clash are some of the styles and artists that Finley and her relatives listen to. Assign groups of students to one of the musical styles or artists from the story to research. Have each group present their findings in an audiovisual slideshow. 4. The author’s use of simile and metaphor to describe a character’s thoughts and feelings, as well as the physical settings of the story, such as the Bone House or the Everwood, are highly visual. Go back through the text and locate a description that you connect with. For example: “I must keep myself held tightly together, straight up and down, like someone has stuffed me into a too-small bag and zipped me up.” Make an illustration inspired by the text. Integrate the text into the image, or use it as a caption. 5. Write a fantasy short story inspired by the Everwood. Work with a partner to draft an introduction and a first chapter. Create illustrations that depict characters, setting, and details. 6. Secrets, truth, fear, control, family, trust, and friendship are the major themes in Some Kind of Happiness. Assign small groups sections of the book to reread. As you read, record examples of the themes in a list. Next, using magazine clippings, meaningful words, phrases and descriptions from the text, and original artwork, work together to create a theme collage. Choose a strong central image for the piece, and add layers of images and text around the center. Present your finished work to the class. *"Legrand handles the tough subject of childhood mental health gently and honestly, and. . . . paints a realistic picture of a girl trying to figure out what’s wrong with her. Finley’s quest to uncover family secrets reveals not just what kept her father away from his relatives but how a family sticks together through good times and bad." 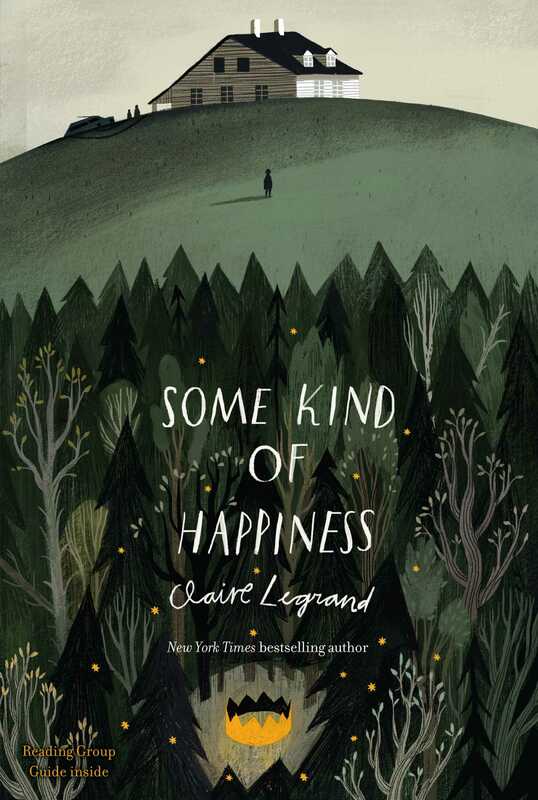 *"A quiet magic is at work in Legrand’s novel, in which she adeptly interweaves Fin’s imaginative writing with the real-life narrative, underpinning all with an appeal to honesty and self-acceptance. This beautiful and reflective tale carries echoes of Katherine Patterson’s The Bridge to Terabithia (1977) and will resonate with thoughtful readers who enjoy pondering life’s bigger questions." "A multilayered plot, engaging characters, and more than one mystery highlight this ambitious novel. . . . Legrand successfully weaves it all into a rich, nuanced tale that culminates in a convincing and satisfying conclusion." "Legrand has pulled off a difficult trick in this novel. She's constructeda story-within-a-story fairy tale that's utterly compelling but sounds asthough it was written by an 11-year-old girl. . . . A layered, thoughtful exploration."